DC is so full of history it hurts – in a good way! History that didn’t even take place here is still on display 24/7 and around every corner. When I go up on my building’s roof in Ballston and overlook the District and the national mall at night, I fall back in love with this city every time. The Monument, the Capitol building, the Lincoln, the Jefferson – this is why I love DC. And we’re just getting started. The museums are cool and great and wonderful and all that. But to me, the best way to appreciate the history that surrounds us is to simply absorb it. 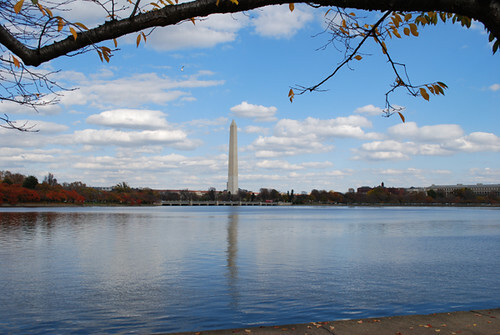 Go for a walk around the tidal basin, through the FDR, over to the Vietnam, Korea and WWII memorials. Find a spot in the grass to just plop down and look around. Pinch yourself – you’re not dreaming. You are sitting amongst some of the most important and amazingly symbolic statues, memorials and monuments in the entire world. Every last one of these structures stands for democracy. And we get to include them in our lives – every day. Every day! We get to wander around the national mall and play kickball in front of the Washington monument. We get to play softball at the Elipse in front of the White House and go for a jog to the Capitol, or even up the steps of the U.S. Supreme Court! Incredible. This is why I love DC. Just look around. 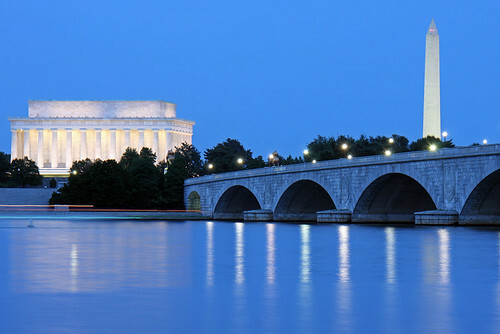 Contrary to the perception of many outsiders, DC is not just a tourist or government town. We have culture! One more time…We have culture! DC truly is a cosmopolitan city that features the food, people and style of numerous countries around the world, but at the same time still manages to establish its own unique and special culture in each little neighborhood around the city. As soon as you hear the words Adams Morgan, or Georgetown waterfront or Barracks Row or Cleveland Park, you can immediately picture the way life is there. The style of bars, the people watching, the scenery – it’s all unique. No matter what your mood, there is a place to go in DC that fits your needs and style. This is why I love DC. Its got culture. 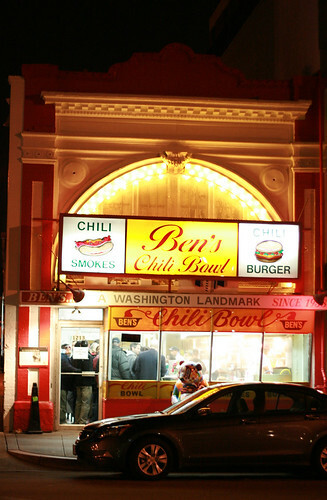 No matter what your palette desires, DC has you covered like chili on a half-smoke at Ben’s. This is the perfect city for foodies like me. Not foodies that necessarily choose expensive over cheap or fancy over dive; but for foodies that choose delicious over pretty much anything else. 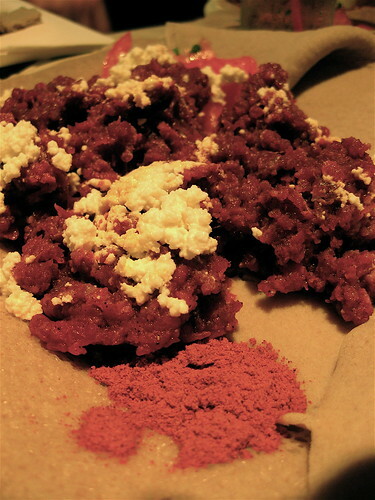 My kinda’ foodie is one that loves to eat damn good food, regardless of what country it originates from or how unknown the restaurant that served it happens to be. In DC, this wonderfully means food from everywhere. Ethiopian, Bolivian, Egyptian, Peruvian, Pakistani, Afghan and beyond. All amazingly delicious and all readily available right here. In fact, I’m pretty sure I’ve had a meal at least once from each of those in the last few weeks. (I just finished eating a very filling lunch from Super Pollo, and yet somehow this post is making me hungry all over again.) This is why I love DC. It’s freaking delicious. Washington is a dream for those of us with type-A personalities. (And don’t you love how type-A people are always willing to self-identify themselves as such?) It’s not just a historical city of monumental proportions offering great diversity in its food and neighborhoods, it’s a city of passionate people people. Washingtonians love people! We know so many people and form so many personal relationships, it’s hard to even jump on the Orange line at Farragut West or go grab margaritas at Lauriol Plaza without running into someone you know. We place a high level of importance on both personal and professional relationships (other than the dating kind, per my last feature) and respect the value of a hand shake and a good look in the eye; increasingly regardless of your ethnic background or social upbringing. This is why I love DC. I love people. I love so much about DC that I’m even going to leave out the whole political thing. I’m obsessed with politics and the going-ons of the Hill, but this city has so much more to offer that always gets overshadowed by the folks in that small group of buildings over by the Capitol. I’ve learned one really important thing from all of the places I’ve lived in and traveled to in my life: Never take DC for granted. Its sights, culture, people and food are beautiful in more ways than one and the city its self is a symbol to the world of democracy and freedom. And we get to live here, people! We. Live. Here. That, my friends and soon-to-be frequent readers, is why I, Karl Johnson, love DC. I love DC too, that’s why I faithfully come to this website even though I’m in wonderful beautiful Europe. Well put Mr. Johnson, you officially made me “home” sick! Sorry, I’m a stickler for grammar, haha. WOW! I am ashamed. I even had two other “it’s” errors. Thank you very much for the comment, I hate myself a little bit right now. I am sorry, but I completely disagree with what you say. I grew up in Arlington, I rowed on the Anacostia, party in Adam’s Morgan; eat Georgetown Cupcakes, Jumbo Slice Pizza, Mario’s Cheesetake, Julia’s Empanada’s and I have to say that DC is the worst town in the East Coast. That is because IT DOES NOT HAVE A CULTURE, a town has to have a culture to be love; ether Charming like Rome France or rude and outgoing like NYC, or Miami, it just needs to have one. DC simply doesn’t have one since all the people that come here are NOT from DC. Besides the Gettos there is NOT a native Washingtonian…everybody comes and goes…and if they want to stay they will move to Fairfax, or Arlington…. that makes DC a Cultureless town were the people on it are leaving sooner or later. That is why I will chose NYC or Miami AYTIMEEEEE. maybe THAT is the culture (culture doesnt really have a definition. lets not forget that :)) those that love DC oh so much are usually the ones that grew up in DC…its beautiful that its transient..its a small big city…i was born overseas but grew up in the dc area…and have met ppl of all walks of life. the DMV definitely has a uniqueness that no other state shares..u gotta love that.